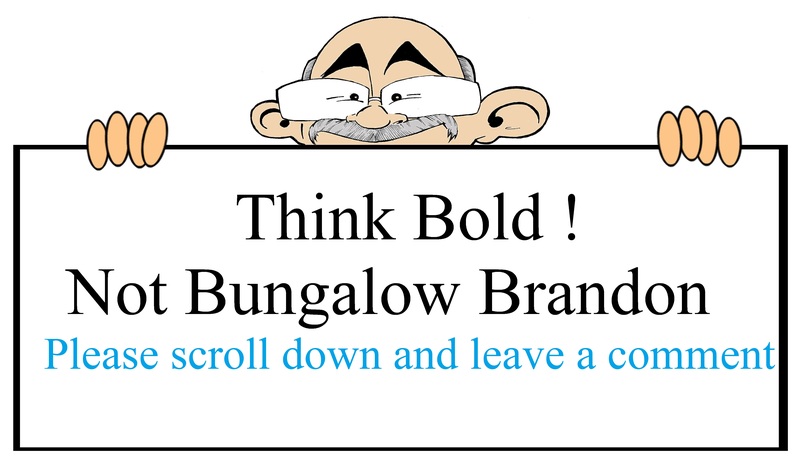 Raised in 2013 in a think tank paper by the Policy Exchange, bungalows have now resurfaced as a new Government policy. The title of this blog is my nickname for the recently appointed Minister of Housing and Planning – Mr Brandon Lewis. Few Housing Ministers last in post very long, because few Governments of any political complexion manage to develop a serious long-term housing policy. Certainly not one which will address the country’s housing shortage. A consequence of this is that each new Housing Minister feels obliged to come up with a comprehensive strategy within weeks of their appointment. This is especially true if there is an election less than 12 months away. Of course, in these circumstances, the need is to grab headlines and capture votes rather than build anything at all. Mr Lewis’s new gimmick is good old bungalows. What a unique idea? Drawn from the 1950’s and 60’s, so not exactly new. The problem is that Bungalow Brandon has not been reading my blog (see “Bungalow Mindset” and “Bungalow Metaphors” in the Archive dated September 2013). If he had been he would know that bungalows take up rather a lot of land, which the planning half of his department will oppose till their dying day. That is why only 2% of homes in England are bungalows. In 2009 only 300 were built. At least Mr Brandon Lewis sees the need for more retirement housing to free up homes for families. Estimates suggest 2.2 million more homes will be needed by 2021 of which the over 65’s will make up 1.2 million. It is a mammoth task that deserves much more than sound bite political answers. Take the shackles off the planning system; speed up development; seed fund retirement housing and promote new forms of equity release financial models that allow wider access to retirement housing. These are strategic ways forward though I doubt Mr Brandon will have had time to consider them in the short time since he has been appointed. Neither are they quick fix issues since they probably require changes in legislation, all of which takes time. Older people and housing developers could tell Bungalow Brandon what to do, but I doubt that he will listen. it is really exciting? The Party seaason is here in full swing, Just the Liberals to Go? Maybe or have I missed that one, never mind. It is now time for the ‘flat earth society’ to flourish, and for us minions to drop off the edge? What with landhungry bungalows, offspring without a future, but just lots of education? In what One may ask?, and living at home until mid life, the world has gone crazy! We do need our entrpronuers, and our politicians to create an active large scale investment in UK plc, that is to the benifit of each of us and the greater world in general. Money is very fickle, and tends to attract more money, The trick or kindness is to find a way to earn more without the attitude of fleecing the unknowing, and decieving each other we are the good guys because we have a pot of money? We must all work to shoulder the burden together and get that glow or warm feeling we call all do our little bit for each other. The Stock exchange is full of woe today of the home supermarkets how clever they are at accounting? What is not discussed is a reasonale profit to be made from you and I? are we the sheep being fleeced? An old adage is a profit margin was ‘What the market can bare’ this has to be applied with sense and reason. Back to the politicians, well their duck houses and second properties, are they bungalows occuppying lots of land? I hope not? I trust them to think outside the box for the benifit of all sectors of the UK’s population. Not a flat earth society where only the thinkers remain in a dream!